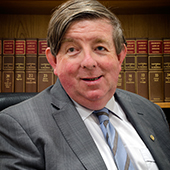 Neville Windebank was admitted to practice as a Barrister and Solicitor in 1982 after completing Articles of Clerkship with Richard Dunstan and Partners. Neville joined Ballards in 1989 and became a partner in 1990. He practices predominantly in the areas of Business Law, including advice regarding business structures, partnerships, companies and trusts and general business affairs, Sales and Purchases of Business, Property Law, including sales and purchases of property, property transfers and general advice, Leasing, Intellectual Property, including Trade Marks Patents and Copyright issues and Commercial Litigation. Neville completed the Business Law Accreditation Specialist Program at the LIV and since 1996 has practised as an Accredited Specialist in Business Law. Accredited Specialists account for only 6% of the legal practitioners in Victoria and in consulting with Neville you are ensuring that you get the most up to date, reliable and expert advice. Neville has been an active member of Rotary since 1990, being President of the Rotary Club of Boronia in 2005 – 06. Mandy Greenlaw, formerly worked for a large government organisation in various administrative and consulting positions before her career as a Solicitor. 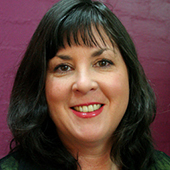 Mandy has practised for over 27 years working as a sole practitioner, and an employee Solicitor in several local, eastern suburbs and city law firms. Mandy joined our firm in 2003 and practises in Property Law (from standard conveyancing of homes to sub-divisions, Retirement Villages and other issues), Mortgage and Guarantee Advice, purchases and sales of Business, Commercial Leases, Powers of Attorney, Wills and Estate Planning, Estates, Administration of Deceased Estates and Testator Family Maintenance. Glenda has over 20 years’ experience in all aspects of Conveyancing including related party transfers, plan of subdivisions, and Retirement Village transactions. Glenda is passionate about ensuring all her clients receive a professionally conducted, but personalised stress free conveyancing experience when dealing with Ballards. Glenda likes the challenge of her work and enjoys dealing with people.